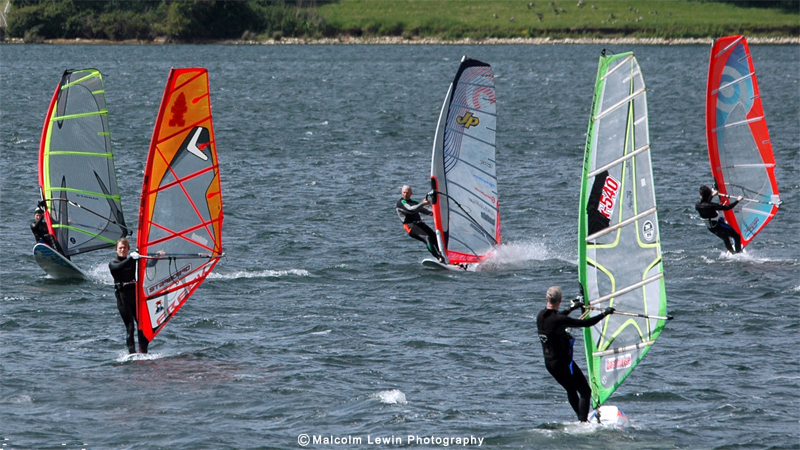 Draycote Water offers some of the best recreational inland windsurfing in the Midlands. With over 650 acres of exposed water Draycote has steady, uninterrupted winds. The reservoir is on an open, elevated position providing clean & typically cross-shore wind, ideal for all ages and skill levels. Draycote Water SC offer a comprehensive, professional safety boat cover during sailing hours, 364 days per year. There is a variety of sailing available from relaxed freeriding of all standards to freestyle and the occasional informal slalom session when the forecast is suitable. We have two beaches away from the hustle and bustle of the dinghy launching areas with a shallow-enough gradient to offer easy beach starting. 1) If you have your own kit, then joining Draycote Water SC is the most cost effective way to get your board on the water. DWSC offers all year round and winter membership rates. Pro-rata rates are also available mid year. The windsurfers are friendly, welcoming and relaxed. 2) If you are new to the sport or are yet to invest in your own kit, then our training centre offers the start windsurfing course (ClickMe) and can help get you on the water quickly and safely. Contact our Training Department training@draycotewater.co.uk. 3) Day passes- available from the shop or the Club Office, please note: these are not always available at weekends. There are full facilities available 364 days a year. RYA training courses and full time professional rescue are provided. On the shore our Clubhouse has changing rooms, hot showers, a lounge bar and chandlery. You can park adjacent to the launching area and rig your kit on smooth grass. The launching point is ideally positioned for the prevailing west and south westerly winds. There is a friendly community spirit amongst the windsurfers. Modern wetsuits (and global warming?) mean that it is feasible to windsurf throughout the year.